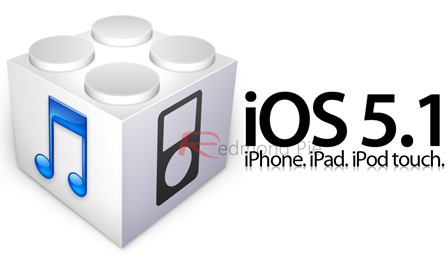 As avid followers of the jailbreak community, we’re used to being teased by the modders, developers and exploiters regarding each new advance towards a jailbreak, and Pod2g has done exactly that in revealing that he’s discovered two new vulnerabilities in the quest to fully disarm the latest version of IOS. While some of the older devices have been treated to a jailbreak already on the fruit company’s latest and greatest iteration of iOS, it’s not the untethered jailbreak which many jailbreakers seem to take for granted nowadays, and while a tethered option is obviously favored to the other option – being tied down by stock – it’s fair to say the Cydia community is waiting for the universal, untethered, all-conquering tool to finally surface. Pod2g is a vital cog in the broad mechanism that makes up the jailbreak spectrum, and whomever manages to piece together the all-important jailbreak tool in the end will certainly have had help from numerous members of the various development teams. The two vulnerabilities consist of a kernel land and a root land, and what Pod2g described as a "productive weekend" could prove to be a crucial step towards the long-term goal that is the jailbreak. Of course, as we’ve seen on many occasions, there’s often a great deal of real estate between the discovering of vulnerabilities and a jailbreak hitting the "mass market". With that said, it’s important to remain positive and encouraging of the scene, thus we’ll take the news in good faith as a step in the right direction. With the new iPad packing in that beautiful Retina display, there are scores of Cydia tweaks ready to take advantage of it, pending the hopefully imminent jailbreak. Quasar, which offers a true multitasking experience complete with floating panes, sticks out in the mind as one which would really encapsulate a great device, smooth OS, and a tweak boasting the kind of ingenuity rarely seen. Obviously, we’ll keep you updated on any further information or leaks as they come through. In the meantime, which tweaks and Cydia apps are you waiting to introduce your brand-new iPad when the opportunity presents? Feel free to share your thoughts with us via the usual mediums below, we’d love to hear them! So while the owners of new A5 and A5X devices such as iPhone 4S, iPad 2, and the new iPad will have to wait for the new tool to be made available, those of you who have A4 devices and below (iPhone 4, iPhone 3GS etc) can use Redsn0w or Sn0wbreeze for tethered jailbreak on iOS 5.1.